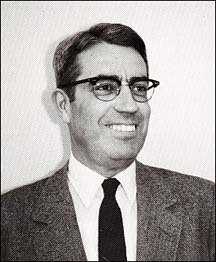 Robert Shankland was Dayton Miller’s assistant on the Ether Drift experiments. He participated in writing a bogus falsification of Millers life work after Millers death. This earned him audiences with Einstein and a cushy job pen pushing in the U.S. nuclear industry. I thank you very much for sending me your careful study about the Miller experiments. Those experiments, conducted with so much care, merit, of course, a very careful statistical investigation. This is more so as the existence of a not trivial positive effect would affect very deeply the fundament of theoretical physics as it is presently accepted. You have shown convincingly that the observed effect is outside the range of accidental deviations and must, therefore, have a systematic cause. You made it quite probable that this systematic cause has nothing to do with “ether-wind,” but has to do with differences of temperature of the air traversed by the two light bundles which produced the bands of interference. Such an effect is indeed practically inevitable if the walls of the laboratory room have a not negligible difference in temperature. It is one of the cases where the systematic errors are increasing quickly with the dimension of the apparatus. This letter the the despised Shankland should deserve Einstein a “dis-honorable mention” in the Hall of Shame. I’d suggest including Cyril Burt. Does Peter Glieck get a special place in this page? How many of the team will end up here? Attenborough deserves a mention here. I just tried to watch his program ‘On Thin Ice’ on BBC channel 4 just now and had to give up in disgust. Blatant propaganda! Antarctica is melting and penguins are dying!! Never mind all the pictures of melting ice taken at high summer!! It is positively sickening. There must be some way of calling this man to account. oh!! Ferenc, creo que te conozco !! Tal vez en el Centro de Fisica Teorica de Trieste, Italia? en 1987? Mi nombre es Juan Carlos Forquera de una Universidad del Sur de Argentina. Discuplas que te escriba en español. Un saludo. The Guardian newspaper should be included in any corporate “Hall of Shame” for its endless stream of AGW tosh. They compound the pseudoscience by censorship of their online “Comment is Free” platform. Thus people who post alternatives to the so called settled science are constantly censored and eventually removed by the Stasi-like moderators. Keep up the good work Tallbloke. What would Orwell make of the Guardian in 2015? Yes it does. Below the ~surface of a ‘mass entity’ the rate that ‘gravity’ alters is accelerated for the distance travelled. IMHO this can only be related to the conversion of ‘gravity’ into ‘hydrostatic pressure’ by any surrounding ‘mass’. In ‘space’ Earth alters the barycenter of Sol with its massive presence, but this forcing is minimal. Hydrostatic pressure is more conducive to ‘Sun-spot activity’ than ‘celestial mechanics’. You’ll not change my thoughts in this aspect. However, we may both be using the same logic that ‘hydrostatic changes’ trump ‘gravity changes’ ‘within’ a ‘massive object’! Please advise by re-posting with a better understood cognisance of my/our POV. This was a response that I was obliged to make when you ‘shut down’ the thread!!!! You’ve really pissed me off Tallbloke! When I seem to achieve a viable dialogue with a fellow contributor here, you ‘close the thread’ (yet again)! Piss off. I’ve had enough of your site!!!!! I don’t know why you invited me here in the first place if you can’t go the ‘whole nine yards’ of a reasoned and rational discussion! [mod] thread is open, may be a technical problem at your end? If there was a “technical problem” at my end, I wouldn’t be able to make these posts here!!!! In the mean time, I’m taking a Sabbatical and I don’t know when I’ll be back. Deal with it and mail me when you’ve fixed this issue. This ‘hiatus’ issue is unfair to your readership! Don’t ask me! I don’t have a problem posting comments anywhere else, but you may want to query ‘WordPress’ for their policy on ‘thread data’ for ‘quanta’ and the ‘option’ that TB ‘elected’! This is ‘YOUR’ problem, not mine. Meanwhile, I’m out of here! Nobody else has reported any difficulty. There’s nothing from ‘suricat’ or ‘ray’ in the spam or trash bins.